Apples are grown in many parts of Connecticut. In the fall they will go on sale, so buy in bulk! Apples are also great because they last a long time. If your apples are going bad, try this recipe by simply cutting off the browning parts. Place chopped apples in microwave safe bowl with water and microwave for 8-10 minutes on high power. Continue to microwave in 2 minute intervals if the apples are not soft enough. Mash cooked apples with a fork or potato masher and add cinnamon. You can also stick the apples in a blender or food processor if you have one. Combine apples and water in saucepan. Heat to boiling. Turn heat to low as soon as the water is boiling. 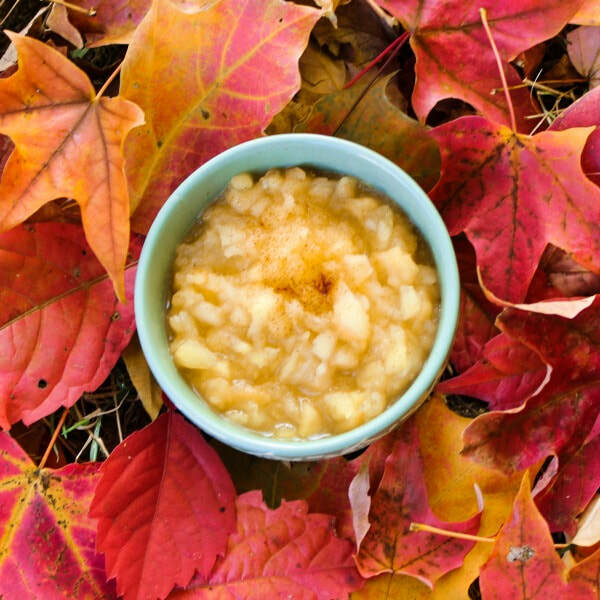 Simmer over low heat for 15 to 20 minutes or until apples are tender. Stir occasionally to prevent sticking. Mash cooked apples with a fork or potato masher and add cinnamon. You can peel your apples, but this will reduce fiber and great nutrients.